A culture of thinkers & creators. Web Mahatma is a specialized 14-year-old Marketing Strategy and Graphic Design firm, conceived to provide its clients the right edge, with the use of superior marketing intelligence and visual presence through its fresh creative ideology. 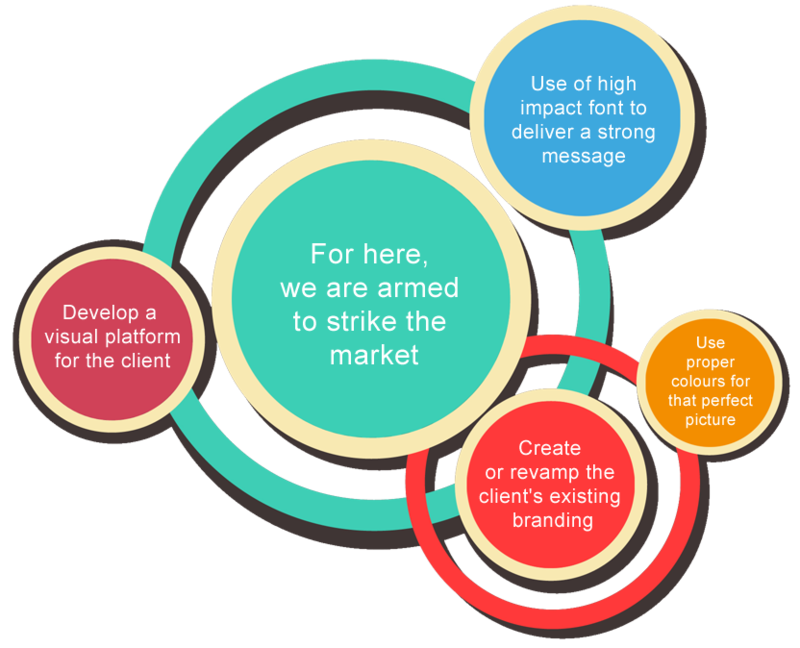 We offer objective-focused, result-orientated solutions through a range of services in market research and graphic designing for strategic marketing and corporate communications. Our approach is thorough and comprehensive, taking a 360-degree perspective on the communications problems and target results. We create meaningful opuses and practical solutions with ideas fuelled by the passion for attention grabbing visual communication. We wouldn't be successful without it – not in work and not in life. Never, never, never, never, never, never, never give up. If you aren’t changing and growing, you’re really standing still. When you ask creative people how they did something, they feel a little guilty because they didn't really do it. They just saw something. We put on our thinking caps and dig deeper. We study the market to understand the client's business, his audience and most important their perceptions. Our team gets together to create a "work-able" 360 degree creative solution, tailored to meet the clients vision and action plan. You might be a global company. You might be a start-up enterprise. You might have lots of ideas raring to be heard. You might not know where to start. It doesn’t matter who you are. We’ll consistently produce work to the highest quality. Enthusiastically, and with a positive 'WM' attitude... because we know that if we keep exceeding your expectations you'll want to keep working with us for the long term. Larger agencies can often be sluggish and imposing in structure and processes. We are conscious that in today’s dynamic market conditions, time is an asset. We thus posses a nimbleness that allows us to adapt quickly to changing markets and customer needs. As our operations are simpler, we don’t carry along with us unwanted, additional costs, which in turn benefits the client directly. We offer exceptional and personalized customer service. Our approach to our business is one of collaboration, not opposition. We offer a first-class consultative service from start to finish and the people you meet at the beginning, support you until the end – with a few other team members helping to ensure a seamless delivery.